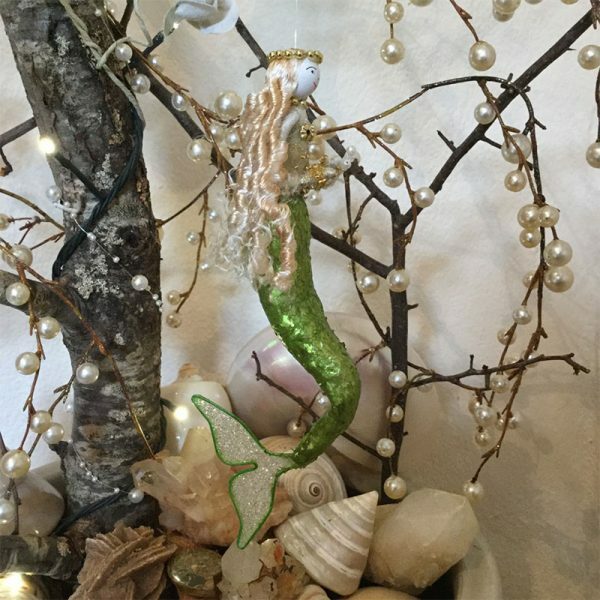 These mesmerising Capiz Mermaids capture the dreamy essence of their watery world. 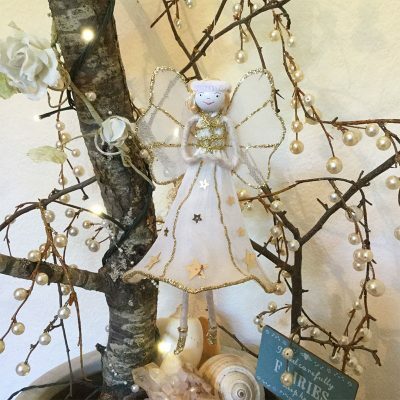 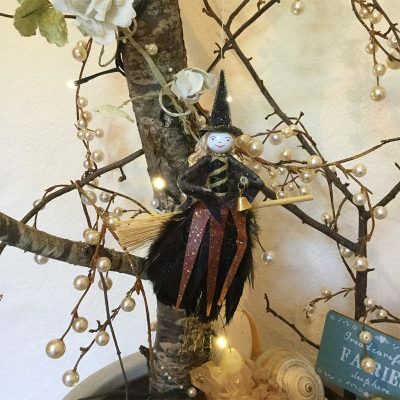 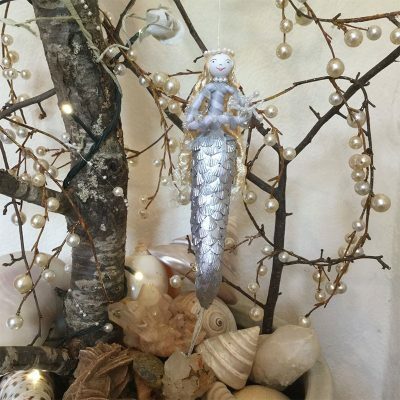 Welcome her into your home as she shapeshifts to her new environment, visiting us in our dreams, casting her magical blessings of self-discovery. 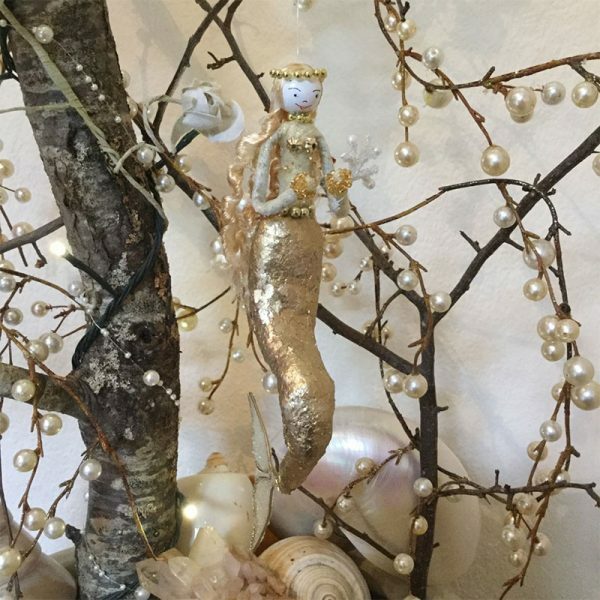 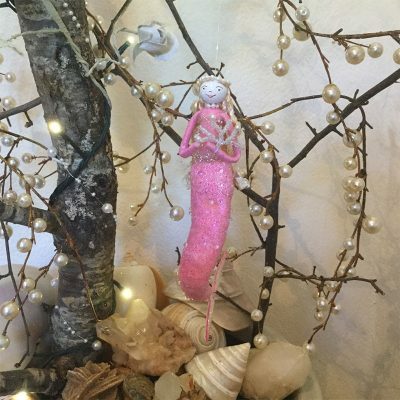 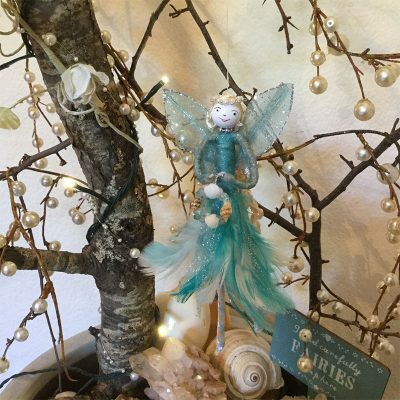 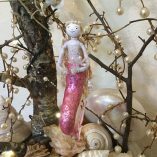 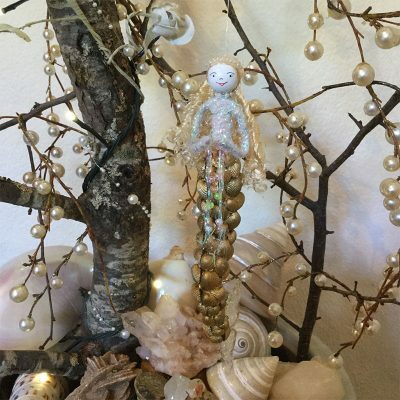 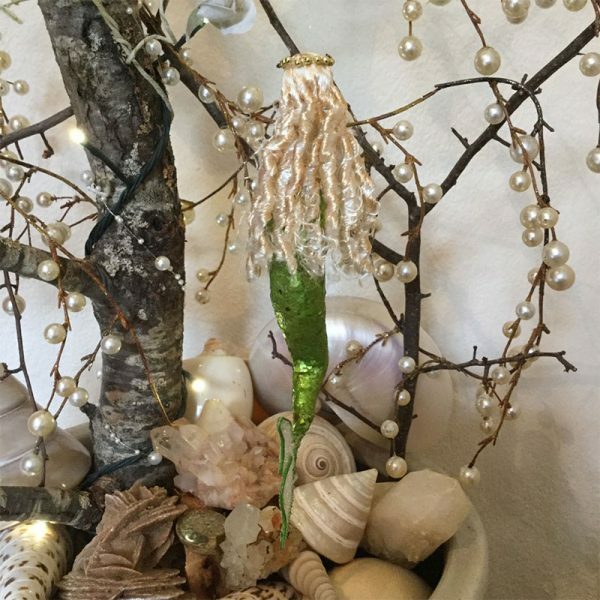 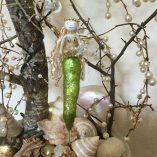 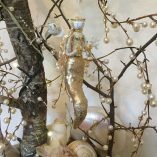 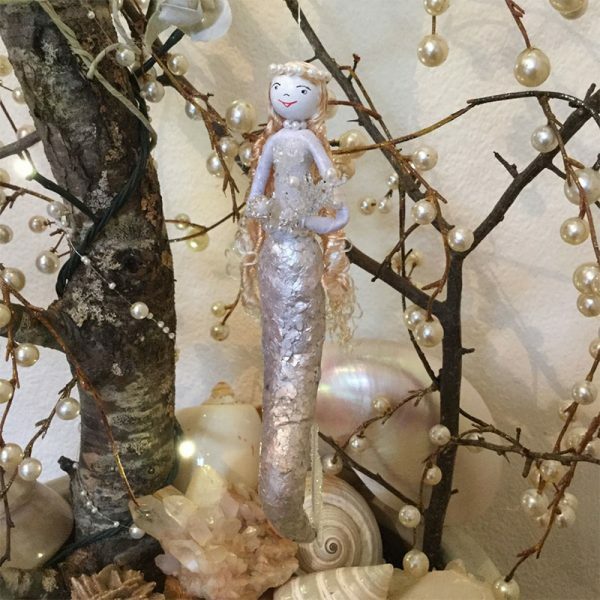 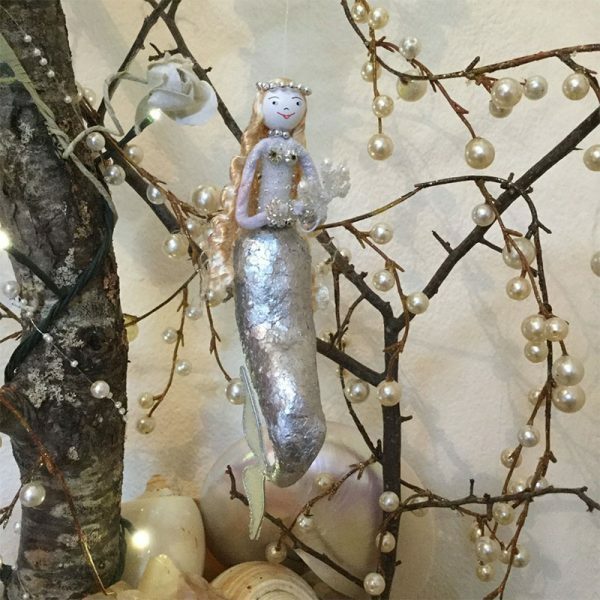 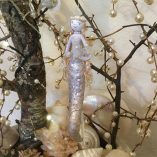 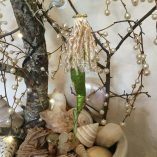 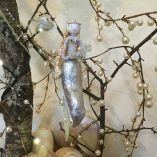 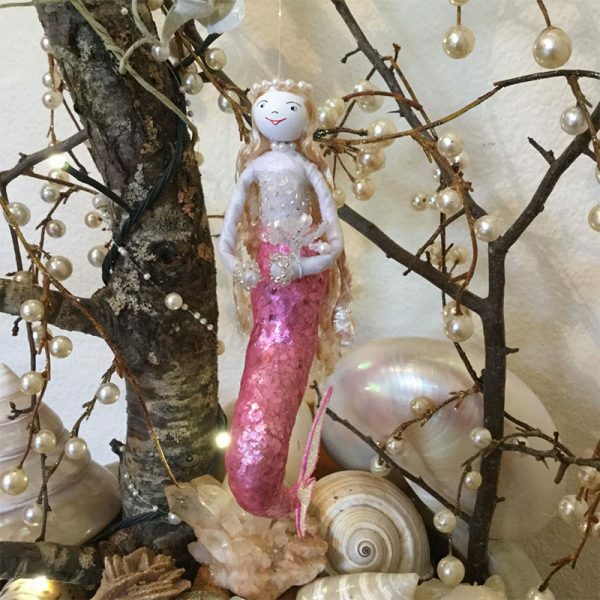 Dressed in pressed, shimmering capiz shell with pretty bead embellished bodice, Capiz Mermaid holds her magical mermaid wand, casting her invisible net into our subconscious to catch our memorable dreams.